This contemporary family home sits on top of a terraced landscape. 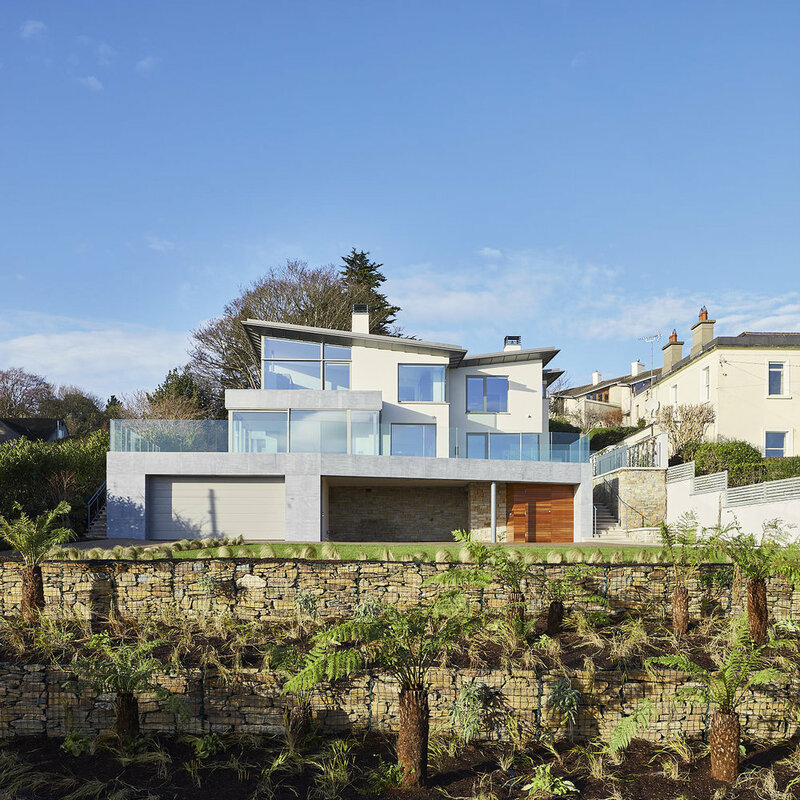 This house recedes gently into the Eastern side of Killiney Hill, offering the occupant breathtaking panoramic views across Dublin Bay. 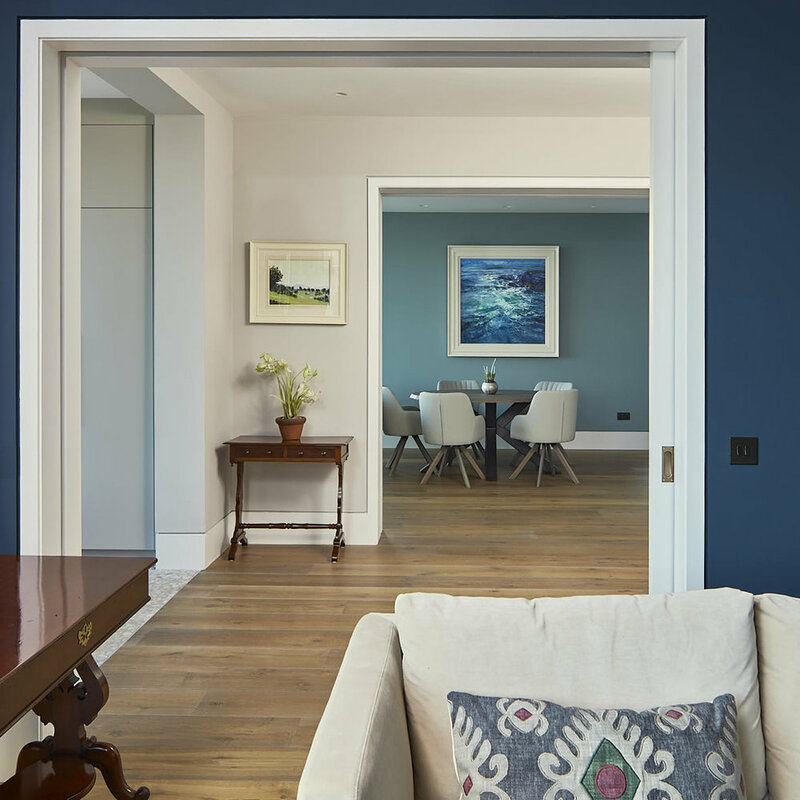 Great attention to detail is exhibited in the main living room when the glazed panels slide back to perfectly frame Bray Head and the Wicklow mountains in the distance. The expansive glazing frames disappear behind thin columns allowing full corner opening bringing the terrace into the living space. 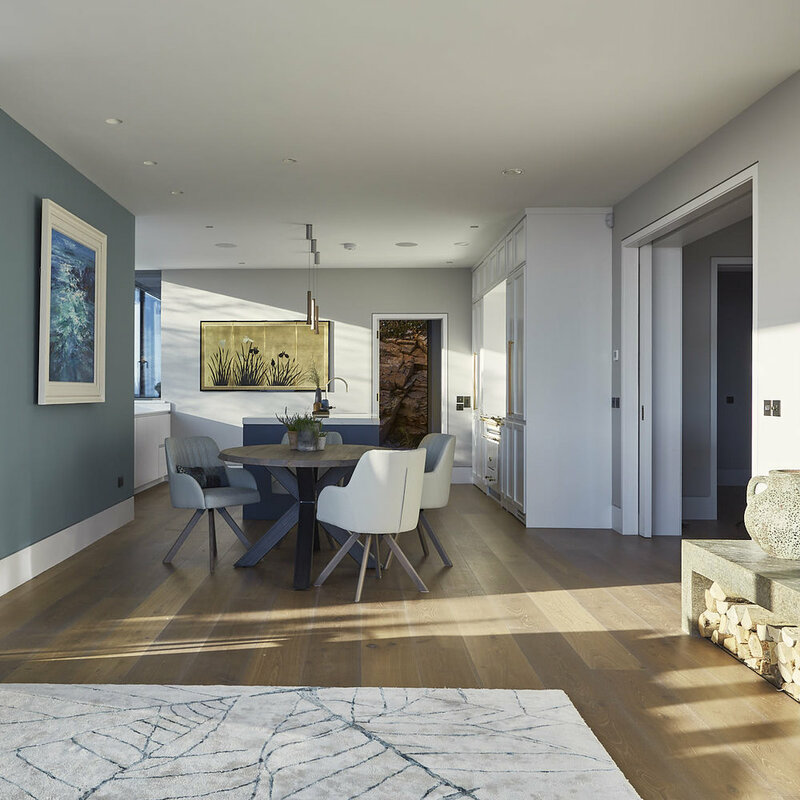 The windows at the back of the house capture the evening sun and reveal the exposed granite that makes up Killiney Hill. The butterfly roof crowns the house and allows natural light to flood into the bedrooms on the upper floor at a clerestory level whilst protecting privacy. 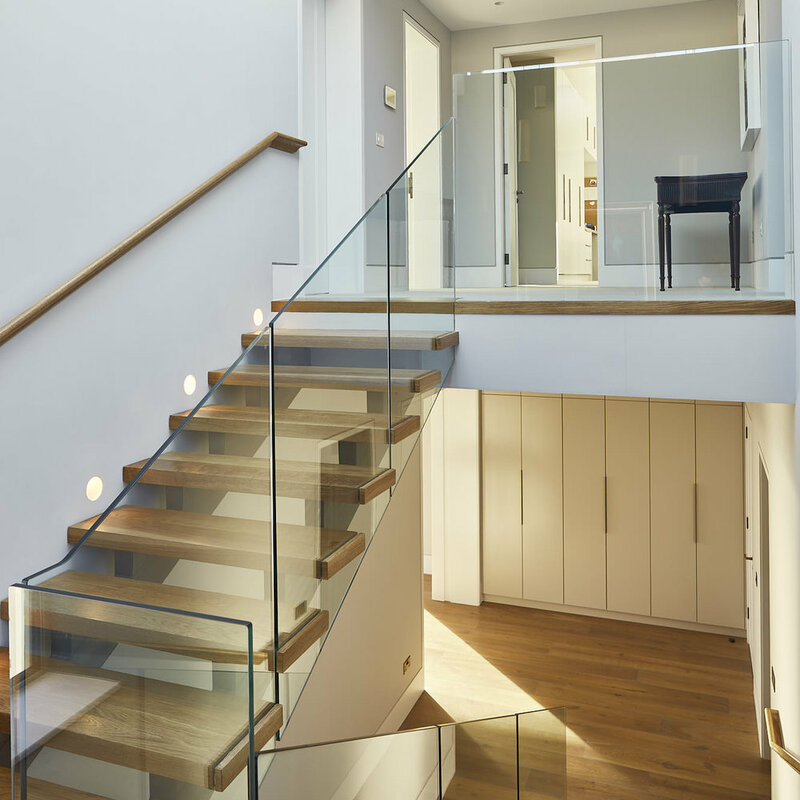 This house is a great example of tailored design of client needs on a beautiful inclined site.